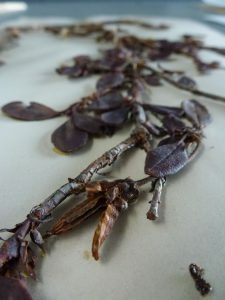 A later letter, dated 30 September 1914, shows that he did, in fact, manage to cross the river and was collecting plants in the Mekong-Salwin divide and in this letter he describes some of the new collections and encloses small quantities of seed. 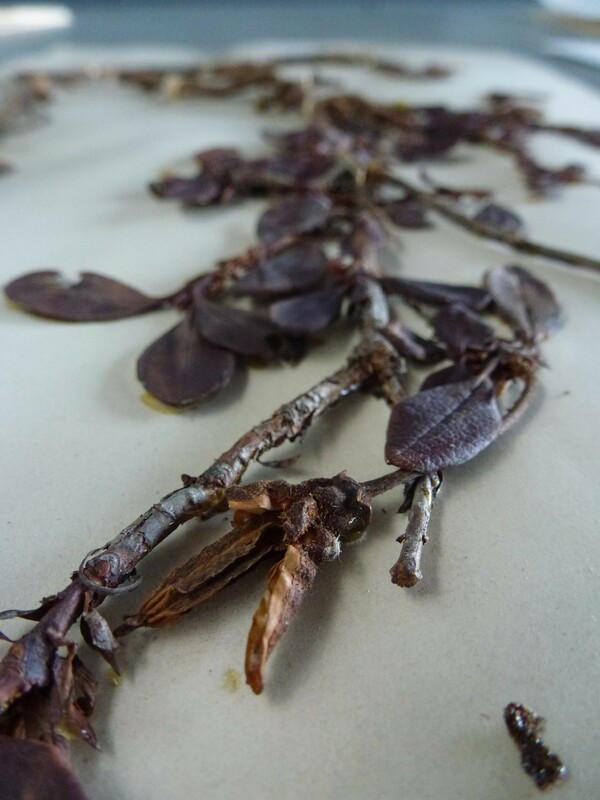 One of the plants he collected at this time was Rhododendron forrestii, a species which had been named after Forrest by the German botanist, Friedrich Diels in 1912 from a specimen that Forrest had collected on his first expedition in 1905. 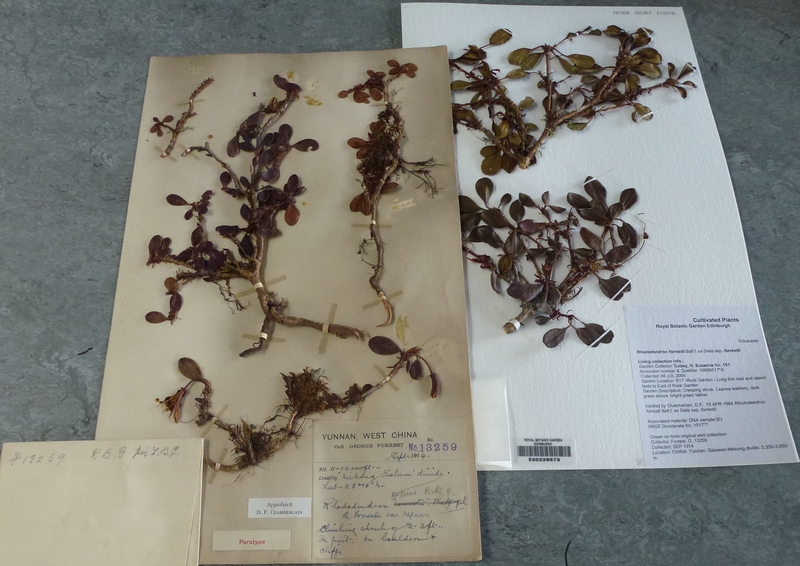 It is likely that the seeds mentioned in the letter included this plant, whilst the herbarium specimen would have been sent back later. The plant was grown on at RBGE in Edinburgh, where the collection is still growing in the Rock Garden. The flowers are displayed in the spring and are a vividly rich, waxy red. The collection is also important as it is one of the specimens drawn by Lilian Snelling, during her time working for Sir Isaac Bayley Balfour, Keeper of the Botanic Garden, and the drawing now forms part of the extensive botanical art collections within the RBGE Archives. The specimens shown here are both the original collection made in 1914, as well as a later specimen which was made from the plant growing in the Rock Garden in 2006.